Perfect for individuals who are athletically challenged - this ball is so unbelievably big you'd have to be blind to miss it! Kids and adults alike will love throwing and catching this ball in the park, on the sand, or in the backyard! Unlike plastic inflatable beach balls, the Large Soccer Beach Ball isn't easily snagged and popped and is great for children's parties, group games and outdoor events! 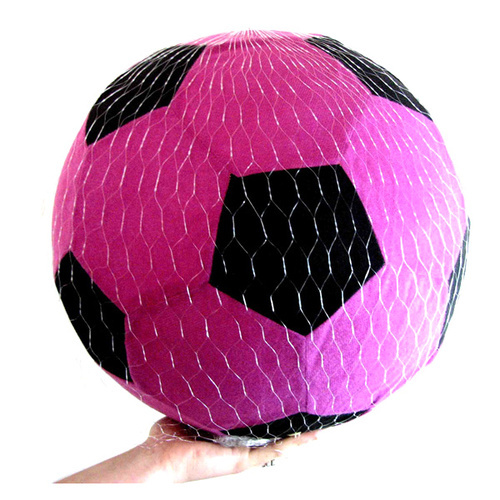 Available in Purple (pictured above), Orange, Pink, Red and Green, why not add value to your pool or beach time fun today with the Large Soccer Beach Ball from Coolthings Australia! Requires pump to be inflated (not included).